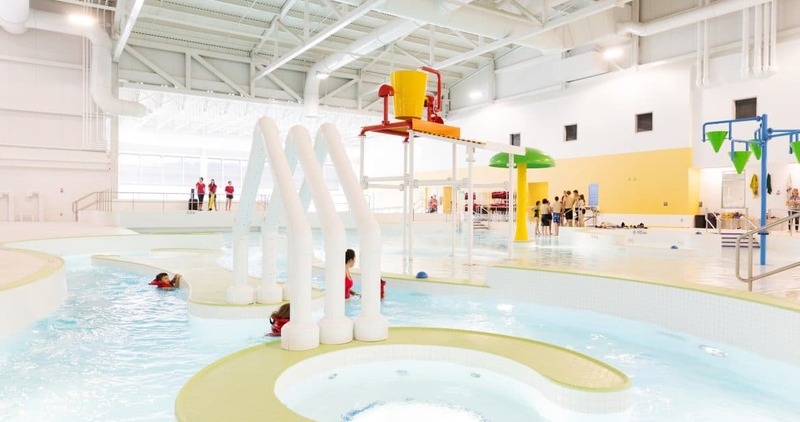 Jayman BUILT invited us to check out the Jayman BUILT Aquatic Centre at the Spray Lakes Sawmills Family Sports Centre in Cochrane. I had heard great things and it definitely did not disappoint. 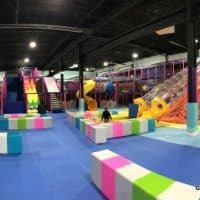 Single activity drop in – Family $20, Youth $5, Adult $12. Pool Temperature: The pools leisure pool is warmer than your typical lap pool at around 30C. 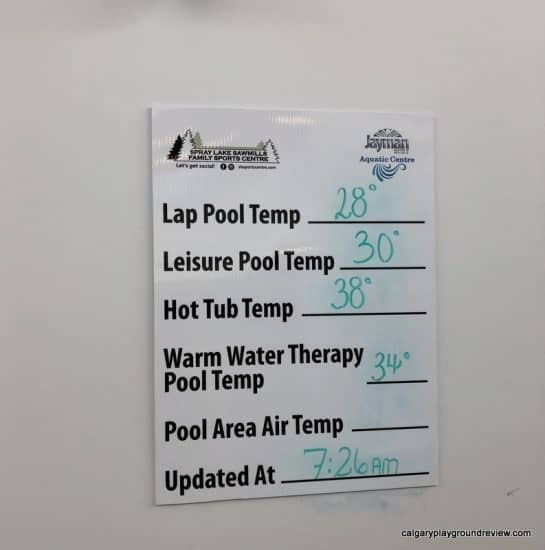 The Therapy Pool is even warmer at around 34C. 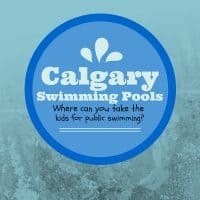 This is a great pool for families. There is a lap pool, leisure pool with spray features, lazy river, hot tub, warm therapy pool, a spray park outside and two water slides! The first place we went was the leisure pool. You know that feeling, when you first get into a pool and it is so cold until you get used to it? This pool was pleasantly warm, right away. The spray features were fun, but my littlest found the bucket to be a little intimidating. The pool is big enough though that it is easy to stay out of the bucket’s splash zone. The water slides were a hit with all three of my kids. My 4 year old was just barely tall enough. It was handy having two adults so one of us could take him up and the other could wait for him at the bottom. 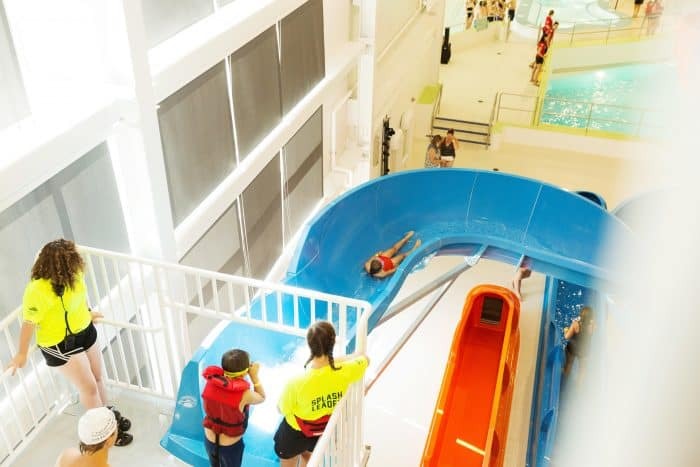 There are two water slides – the blue is a gentler ride and the orange is a bit more adventurous. 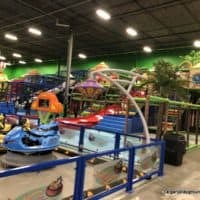 My 6 and 9 year old loved them both but my 4 year old found the orange water slide to be a little too intense. 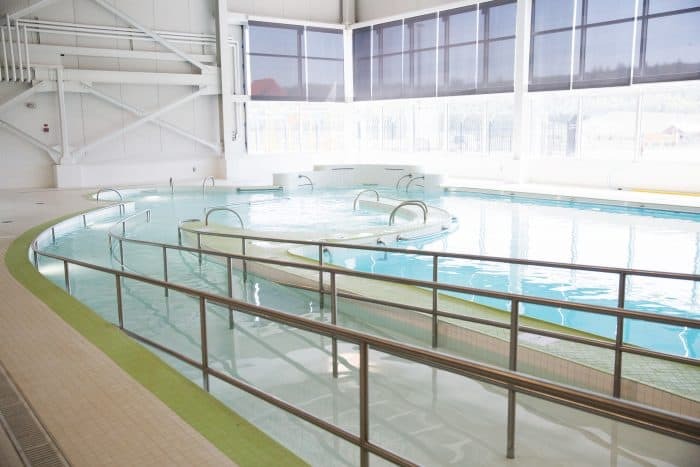 The therapy pool is lovely and very warm. It was particularly popular with babies and young toddlers. It has a ramp entry and gets surprisingly deep on the far end. Kids have to be 41 inches tall to ride the water slides. 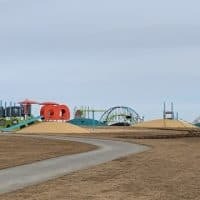 Kids must ride alone on the slide. Life jackets are available to borrow on the pool deck. After we visited the pool, we also tried climbing at the climbing centre. Use of the climbing equipment is included with your day pass or single-activity admission. 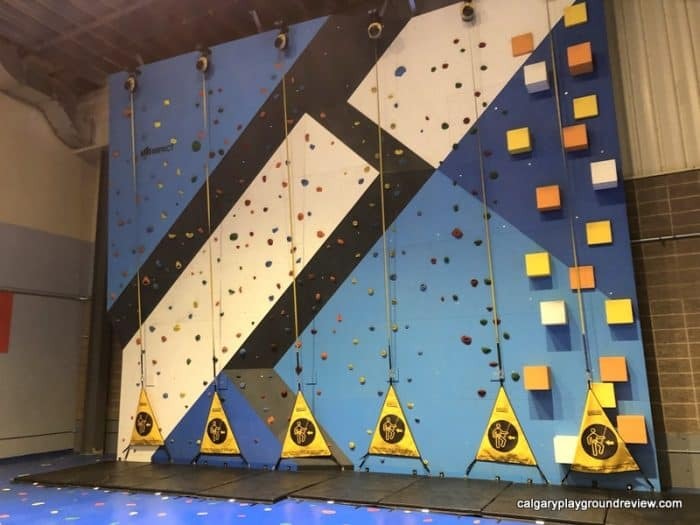 They have a 24′ climbing wall with auto belay system. They have 8 different climbs you can try. Kids have to be at least 4 to climb. My 6 and 9 year olds both found it fun and challenging. My 4 year found it a bit too intimidating. 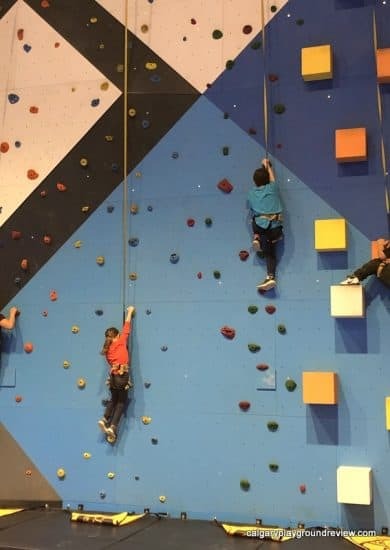 It was my first time trying climbing – it was pretty hard but I would like to try again. My husband used to go to the university climbing centre and really enjoying trying it again. After all this fun, we were definitely in need of a snack so we grabbed some things from the concession in the lobby. 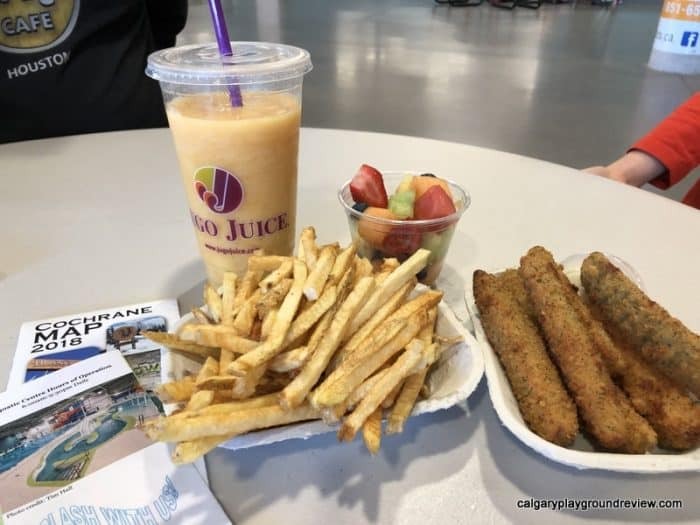 The deep fried pickles were surprisingly good. 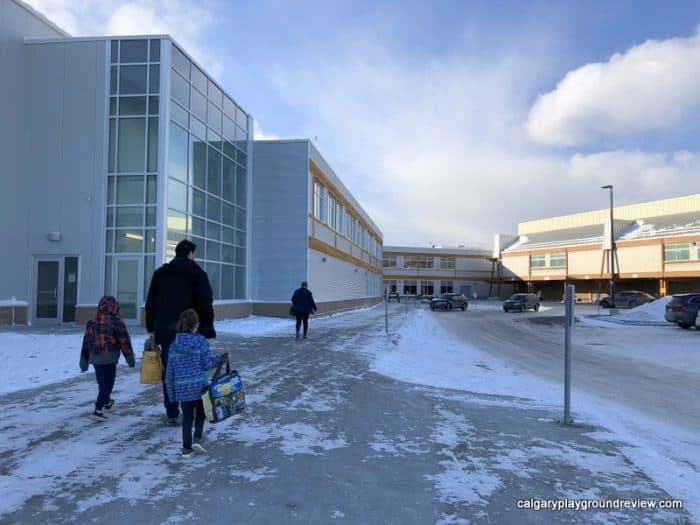 We had a fantastic time at the Spray Lakes Sawmills Family Sports Centre. 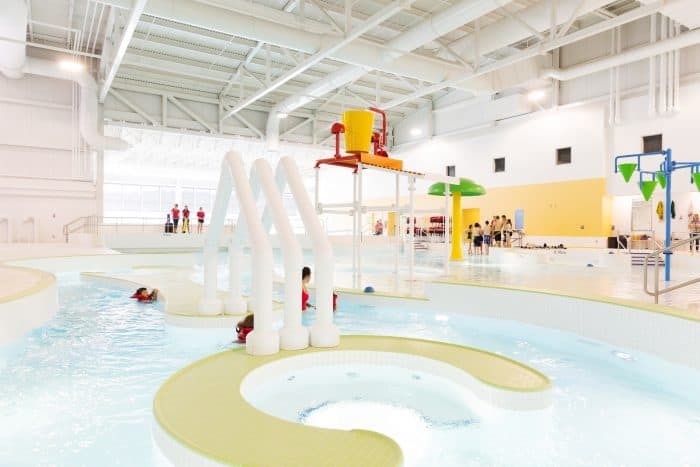 The Jayman BUILT Aquatic Centre is now one of our favourite swimming pools!